Turkish authorities on Monday conducted a hugely sensitive operation to move a centuries-old bath house weighing 1,600 tonnes to new location to avoid being engulfed under floodwaters by a controversial dam project. The Artuklu Hamam bath house in the southeastern town of Hasankeyf was loaded onto a wheeled platform and then moved down a specially constructed road to a new location in a process that took several hours. Much of Hasankeyf will be under water or risk damage in the next years because of the development of the Ilisu Dam project, which aims to drastically improve energy supplies for the Kurdish-dominated southeast. 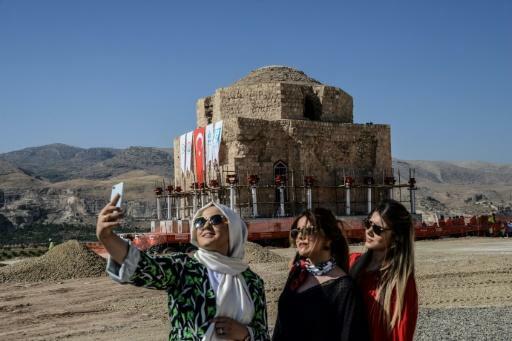 The moving of the Artuklu Hamam, which reports said is at least 650 years old, is the latest such transfer of a major historical building in the area to avoid being buried underwater. 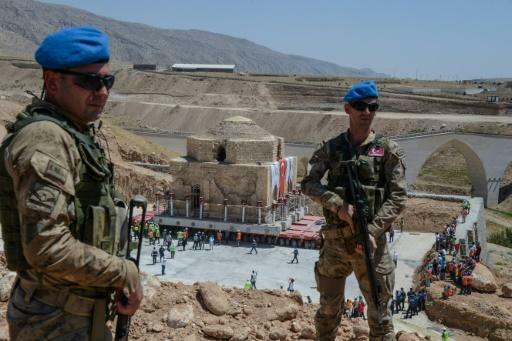 In May 2017, Turkey moved the 15th century, 1,100 tonne tomb of Zeynel Bey, a Turkic tribal leader, also on a special platform to avoid being buried by the floodwaters. Both historic buildings have been moved around two kilometres (over one mile) to an archaeological park being set up just outside the town. Batman governor Ahmet Deniz told the state-run Anadolu news agency that the process of moving the historical objects was an example for the world. "After the Artuklu Hamam, six more objects are going to be transferred. Hasankeyf will truly keep its historic identity. The new Hasankeyf will be a centre for tourism," he added. The Initiative to Keep Hasankeyf Alive, an NGO created in 2006 to oppose the dam project, said it will "bring destruction and losses for our region and not be beneficial for the majority of the population". The Ilisu project, strongly backed by President Recep Tayyip Erdogan, has also caused tensions with neighbouring Iraq which shares the Tigris river with Turkey and regards its waters as crucial for the arid regions where it flows. Turkey's ambassador to Iraq Fatih Yildiz announced in June that Ankara was putting the process of retention of water in the dam on hold, following complaints by Iraq of water shortages. "We have shown again that was are able to put our neighbour's needs above our own," Yildiz said at the time.